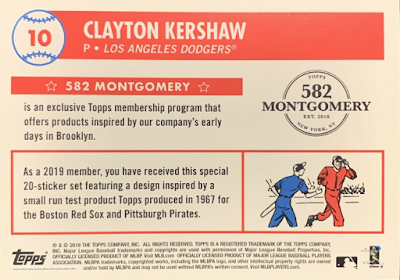 To open the 2019 regular season Topps has released their second 852 Montgomery Club membership set. 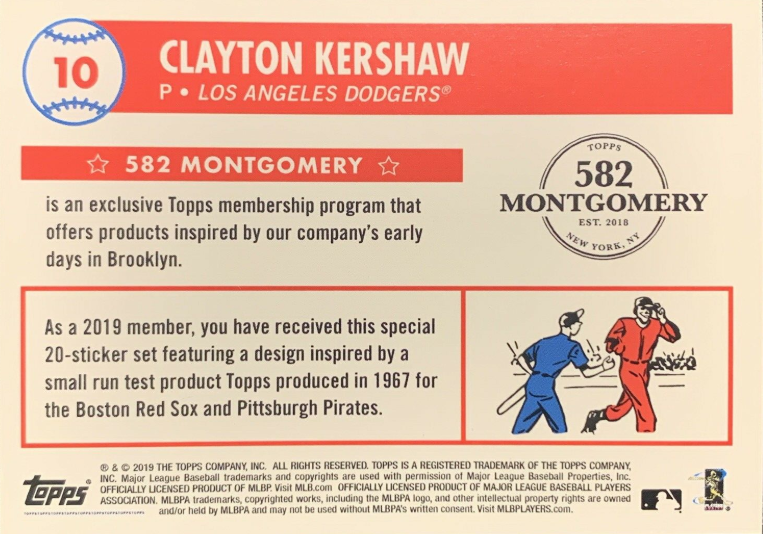 As you know, last year Topps unveiled a collector membership club called '582 Montgomery' that included several exclusive perks like six different exclusive sets. Earlier this year they released the first club set (link here). Now, the second set has been delivered to members and it is a 20-card sticker set fashioned after a sticker test issue from 1967. 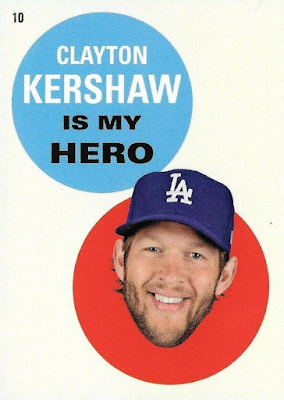 Clayton Kershaw is the only Dodger available to chase after. The reverse of the card is below. Go here for a complete checklist. Finally! 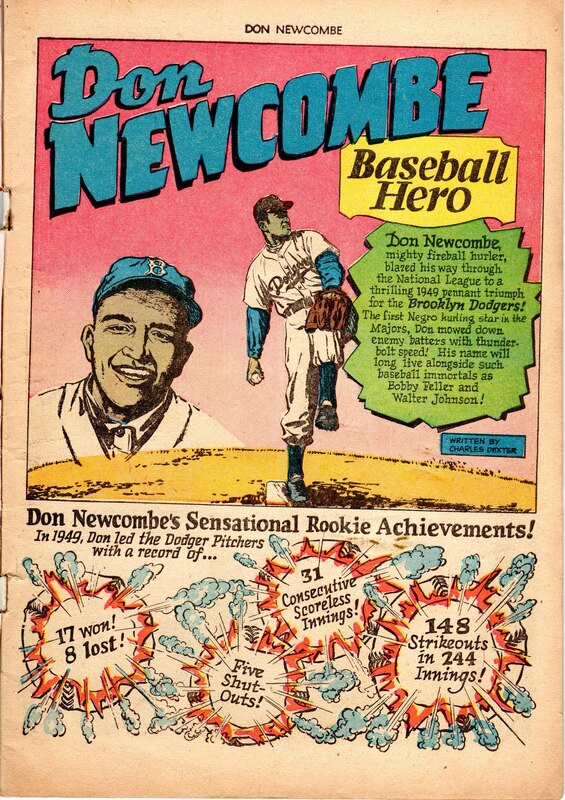 Here's a look at my dusty, but well loved Don Newcombe comic book. 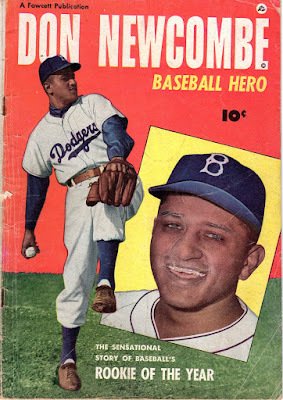 It was published in 1950 by Fawcett Publications -- the same folks who created the Jackie Robinson comics from the same time period (link here) -- following his near unanimous selection as the 1949 Rookie of the Year. As promised, I've scanned each page to share here. Check them all out below. Click on any pic to embiggen. 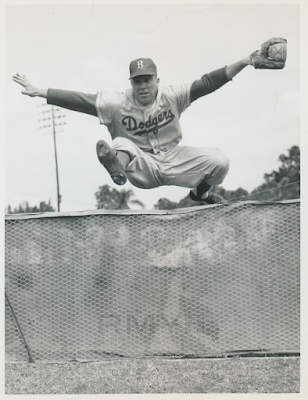 Pee Wee Reese could soar like an eagle. Veteran Captain Pee Wee Reese of the Brooklyn Dodgers may not be as young as some of his teammates at the Dodgers spring camp, but he still has plenty of zip and bounce. He is floating over the pitchers batting screen here like a two-year-old. 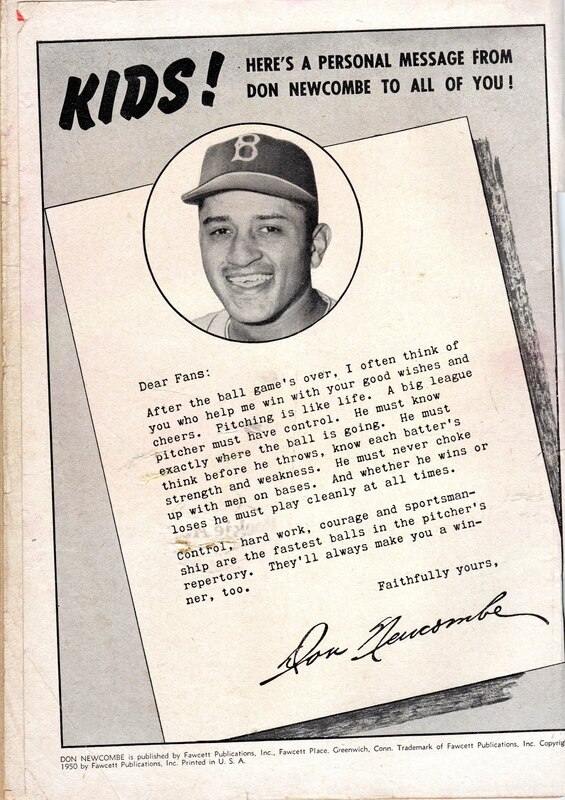 This Day in Dodgers History: In 1953 the St. Louis Browns returned pitcher Tommy Lasorda to the Dodgers after having just purchased him a month prior. In 1984 Jackie Robinson was posthumously awarded the Presidential Medal of Freedom by President Ronald Reagan in a White House ceremony. 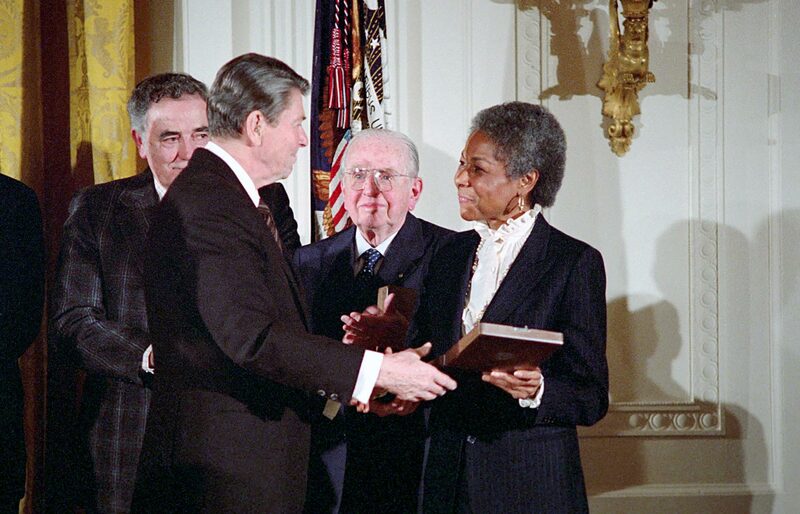 Rachel Robinson accepted the award on her late husband's behalf. 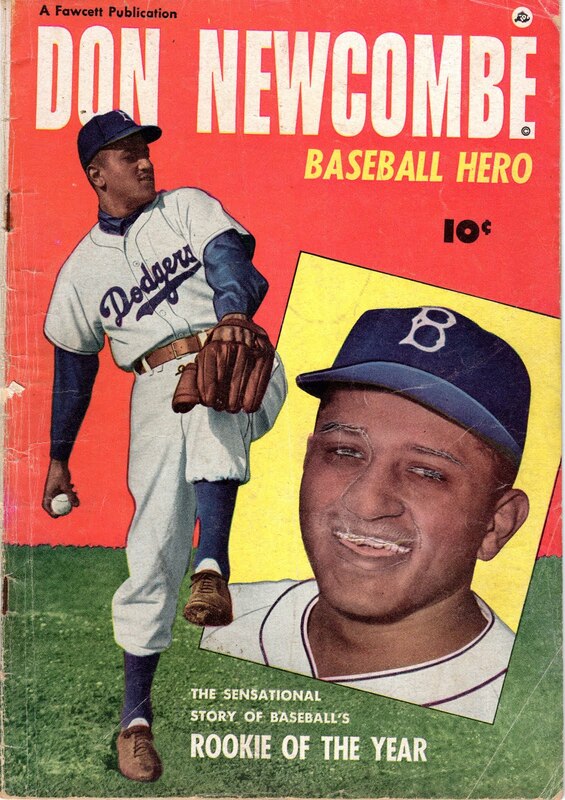 At the time, Jackie was just the third ballplayer to be given the distinction (Moe Berg and Joe DiMaggio were the others). You can watch the presentation here. In 1991 the Dodgers sign free agent catcher and future Hall of Famer Gary Carter to a one-year $500,000 contract.